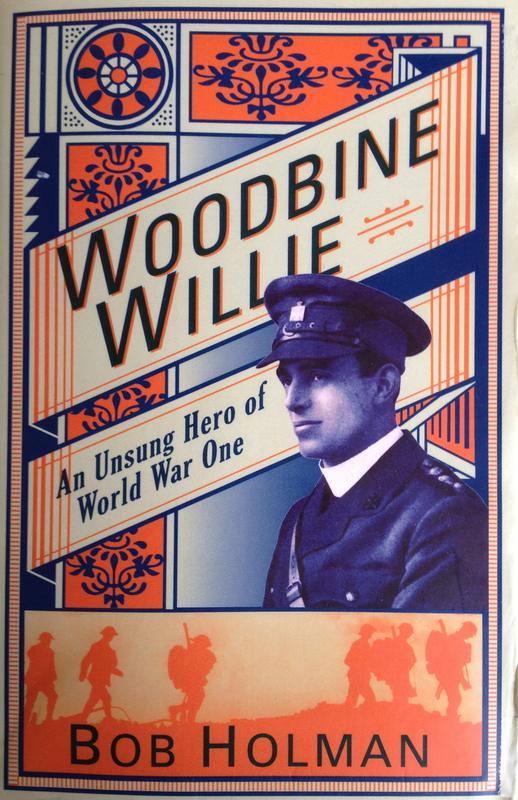 Woodbine Willie was the name the troops gave to an asthmatic padre who served with them on the front line in World War One. He was alongside them at the Somme and at Ypres where he was awarded the Military Cross for his courage. It was this courage, this ability to tell it how he saw it, that earned Woodbine Willie the respect and the ear of a wide slice of post-war British society. He spoke to thousands – both from the pulpit and through his books and poems – about “the cruelty and folly and waste of war” and about the need for social reform in Britain. His audiences – the poor, the working-class, the well-to-do and old soldiers – also included King George V to whom he had been appointed chaplain in 1920. Woodbine Willie’s real name was Geoffrey Anketell Studdert Kennedy. He was born in 1883, to Irish parents – the eleventh of the fourteen children of the Reverend William Studdert Kennedy. Their family home, the vicarage, was in a deprived area of Leeds. Geoffrey never forgot the level of need he saw as a child. His path into priesthood was straight-forward. He went to Leeds Grammar, then Trinity College Dublin – had a few years as a school-teacher – and then joined Ripon Clergy College in 1907. By the time war was declared he had been ordained six years and married to Emily Catlow for only a few weeks. A year later, 1916, he was celebrating Christmas with the troops in France. Woodbine Willie died from pneumonia in Liverpool in 1929, aged 45. The book suggests he was exhausted by the constant touring that separated him from his family for most of the week. On top of all the travelling he was asthmatic, a smoker, and possibly suffering from post-traumatic stress. His generosity had left him with little to leave to his wife and three young sons. Even the royalties from his books, many of which had been frequently reprinted, had mostly disappeared. This book, a carefully laid out tale of a Christian life, quotes widely from Woodbine Willie’s own writing and from those who knew him, those who heard him speak and those related to him. There is no doubting the regret that was felt when this gifted, prophetic speaker died so young. Please click this link for a reading of one of Woodbine Willie’s poems. It is well worth the two minutes it takes. Bob Holman, author of Woodbine Willie: An Unsung Hero of World War One, has campaigned against poverty for over a quarter of a century. He is a community worker and co-founder of the Fare project in Glasgow. This entry was posted in Books, First World War, Non-fiction, Reviews, The UK and tagged Army chaplain, Bob Holman, Military Cross, Studdert Kennedy, the trenches, Woodbine Willie, World War One. Bookmark the permalink. Wonderful man – a hero.. Thanks Aggie. The book quotes Andrew quite a bit. I got interested in his grandfather after visiting the Museum of Army Chaplaincy at Amport House – well worth a visit. I followed your advice and listened to the poem by Woodbine Willie. Great! So pleased you did – thanks for the feedback. Odd timing. Around this time of year, I start thinking about WW1 – for some odd reason. Then, your post shows up.